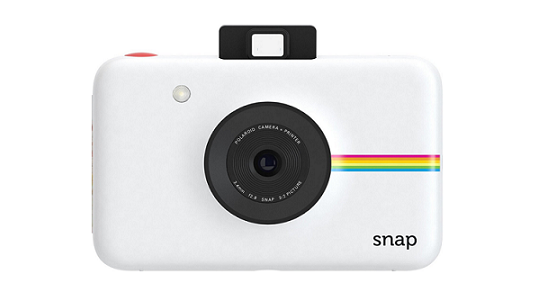 New and amazingly simple design in Classic Polaroid instant cameras. It's compact size can easily slip into your shirt pocket. It has 10 Mp sensor which is enough to capture sharp images and support enough 32GB Micro SD slot. While you print your capture image, its integrated ZINK instant printer produces Full-color 2x3" prints under 1 minute (ZINK Zero Ink Printing Technology). Its Adhesive back makes it easier for posting and you also get a digital copy of your snap on data storage. Zink zero is latest printing technology for fast and quick printing. It produces photo quality, full-color output without using ink cartridges, ribbons or toner. It has more than 170 current and pending patents and combines major advances in chemistry, engineering, physics, image science, and manufacturing.